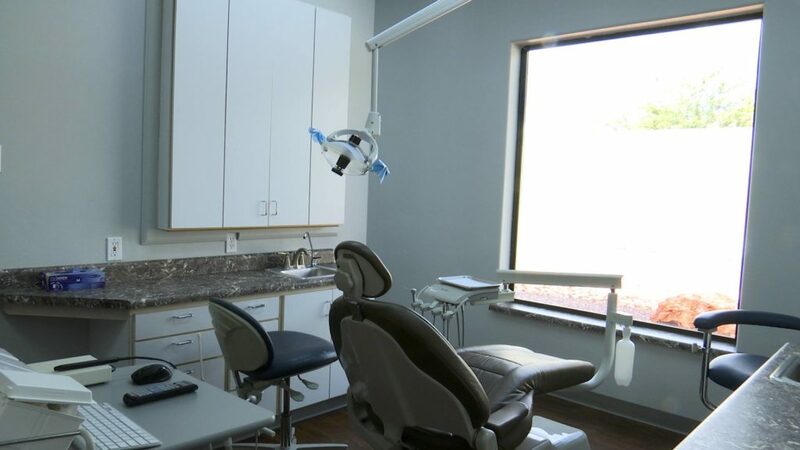 HILDALE — A tireless dentist opened a new clinic in a community that had lacked local access to a dentist for 10 years. 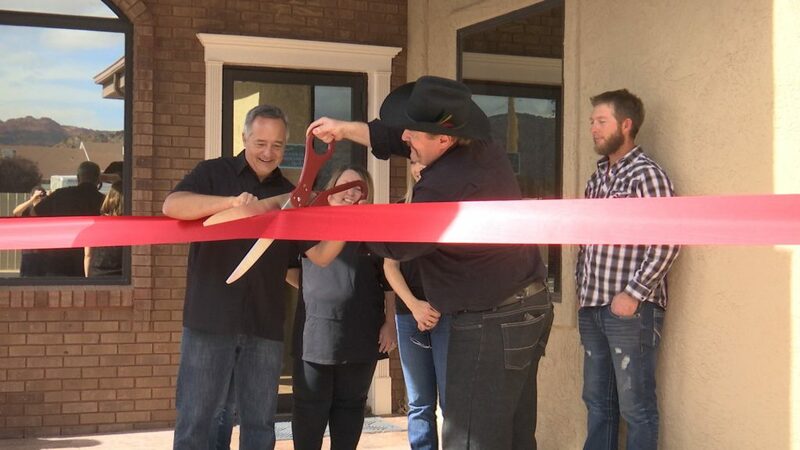 Dr. Scott P. Taylor, a dental surgeon, and his wife, Ellen Taylor, welcomed guests to the newly opened Hildale Dental at 1080 W. Utah Avenue in a ribbon-cutting ceremony Saturday afternoon. 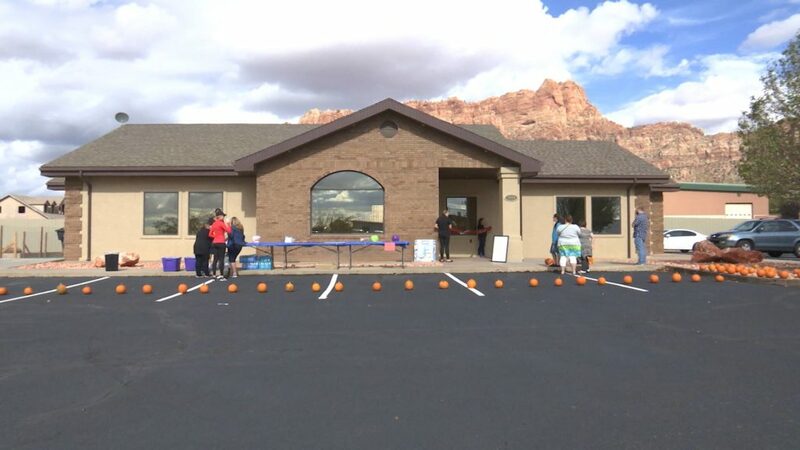 Guests were served refreshments and participated in a pumpkin carving contest. 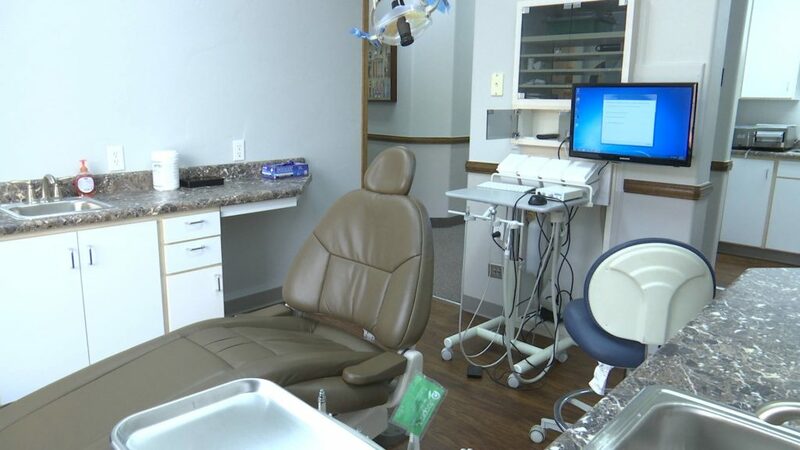 The clinic is a major need of the isolated twin cities of Hildale, Utah, and Colorado City, Arizona, whose residents previously had to travel long distances to receive dental care. “We had no plans to do this. 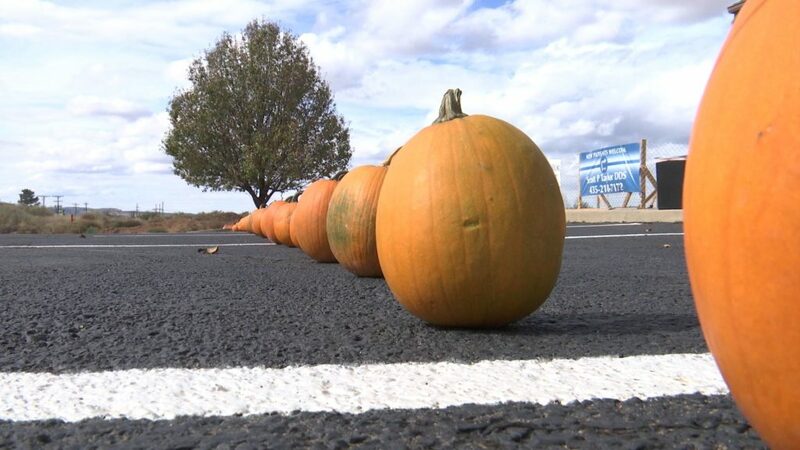 It kind of fell in our lap,” Ellen Taylor said. The Taylors had moved from Seattle to St. George a decade ago intending for Scott Taylor to retire there. However, the urge to continue practicing dentistry was too strong to resist, and he opened a practice in St. George. The Taylors were approached by Keith Leonard, who had worked closely with the Short Creek community previously, expressing the need for a clinic in the area. They said they were reluctant at first, but upon visiting the community and interacting with its residents, they had a change of heart. 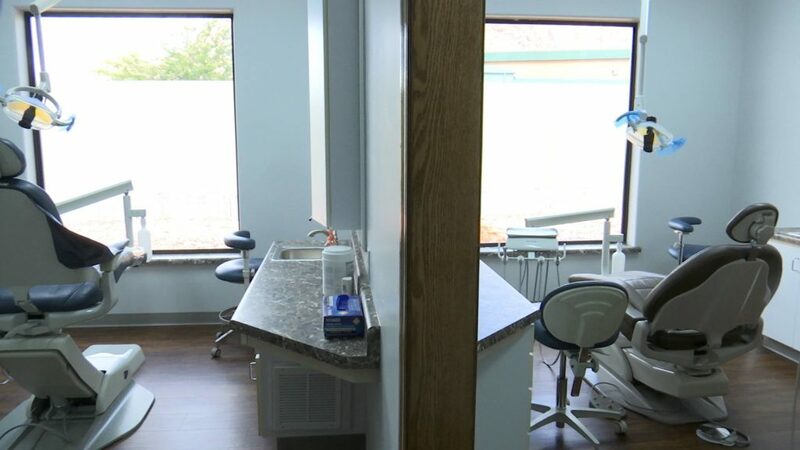 Workers from the community helped with the project, which involved gutting the existing decades-old dental office and completely remodeling it. The facility includes five modern operatories and is set up for general dentistry. 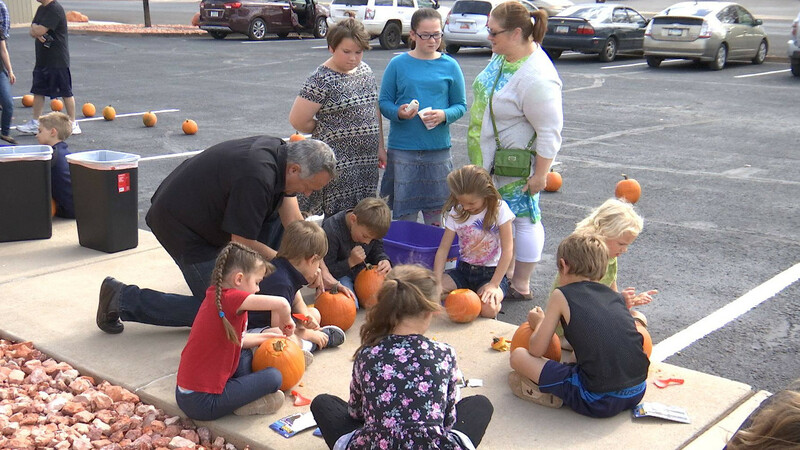 “We’ll have a special emphasis for children because there’s been quite a bit of underserved children, so, we’re going to kind of cater to the children — but not only children … the whole family,” Scott Taylor said. The Taylors are among the first to benefit from a general opening-up by the community to outside businesses. “It’s the first dentist in the area where everybody is welcome. 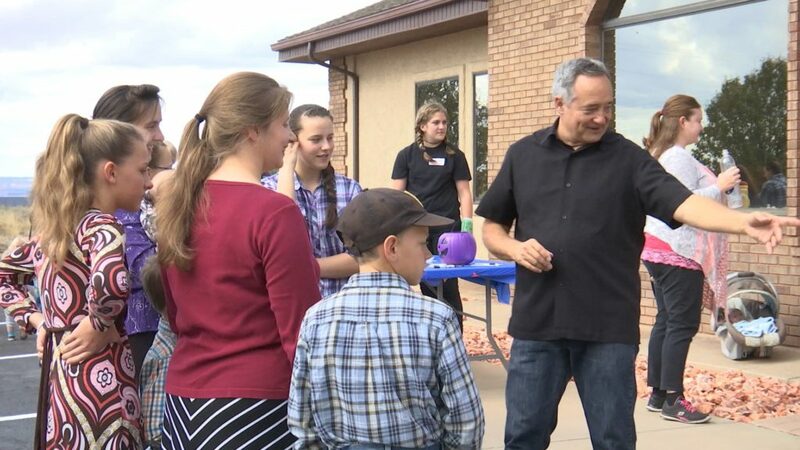 There’s no affiliation with the FLDS church,” Harvey Dockstader Jr., president of the newly formed Uzona Chamber of Commerce, said, referring to the Fundamentalist Church of Jesus Christ of Latter Day Saints that once controlled the area and still exerts strong influence on its members. As the overall community has begun to open up to new development, Dockstader said he recognized a chamber of commerce would enhance relations for existing businesses and further help facilitate new business ventures. He said the chamber is working with a consulting company to get new businesses set up, such as restaurants, hotels and touring companies. “Several properties besides the dentist have opened up, and many are in the works,” he said. As the community opens up to new developments on the Utah side, Dockstader said the chamber still faces challenges on the Arizona side. “The hardest thing on the Arizona side is the city has been blocking some judicial process so trying to get commercial property is problematic,” he said. Even so, he said, the chamber is dedicated to helping previously disenfranchised people return to the community and reap economic benefit through business development. Hopefully not another attempt to bleed the beast. Sorry for being such a skeptic.